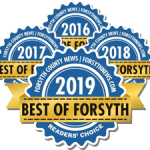 Searching for a Duluth, GA, roofing company you can trust? Hopewell Roofing & Restoration promotes professionalism and high-quality roof replacement and repair. Whether you’re looking for gutter guards or an entirely new roof, you’ll find the reliability and durable materials you need to make the most of your investment. Customer satisfaction comes from many sources – a good price, a job well done, a service team that shows up on time and takes a job to the finish line. At Hopewell Roofing & Restoration, we deliver on all counts. Since our beginning in 2009, our list of satisfied customers has only gotten longer. We’re more than happy to share those references. Roofing insurance claims specialists providing professional residential and commercial roof repair, free roof replacement estimates, general roofing installation, and more. James made the planning process very seamless. The implementation team did an excellent job and was very efficient while still accommodating us coming and going during the day. The job well done is much appreciated. I will refer Hopewell Roofing to everyone I know. Professionalism is a priority at Hopewell. It’s not a word that gets tossed around. It’s the foundation of our business. We know we cannot be a secure resource for our customers without a rock-solid structure. Our roofing company has met the standards necessary for licensing in the state of Georgia. We also carry a million dollar general liability policy to cover our work. In addition, Hopewell belongs to the National Roofing Contractors Association. This ensures we’re up-to-date on the best practices for roof repair and installation and knowledgeable on the latest products. A roofing job is only as reliable as the materials used, so our roofing teams only use the highest-quality shingle and gutter products. You’ll find we are among the two percent of roofing contractors that hold GAF Master Elite certification. 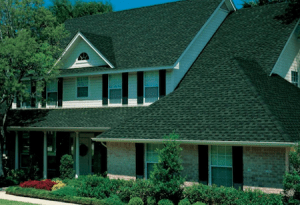 This provides our clients with a resource for the best asphalt shingles in the industry – and enjoying a robust warranty program in case problems arise. We also carry Gutter-Mate and other standout products perfect for homeowners with an eye on value. This gutter filtration system maintains clean and attractive gutters on your property without requiring the intensive maintenance of typical gutter setups on rooftops. Completely avoid stepping foot on a ladder with this leading-edge solution and check out our other offerings as well. Contact Hopewell Roofing & Restoration, a leading Duluth, GA, roofing company, whenever you’re in need of roof replacement or repair.